Nowadays labels have become an indispensable part of every product. It according to the nature of the product carries vital information such as name, date of manufacture, expiry detail, composition, batch number, marketing authorization number etcetera. Without label, the customer will not be able to judge what they are buying. Along with acting as an information carrier, they are very effective in creating brand awareness. An eye-catching label with an attractive picture will quickly catch the attention of the buyer rather than an ordinary label without any picture. This way automatically it creates a strong customer base. 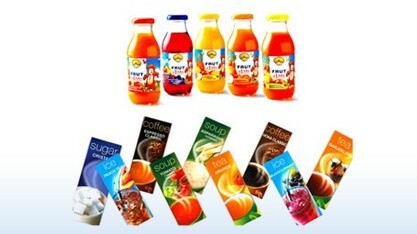 Here, the label printing companies play a vital role. They not only have to come with unique design that helps company to make a solid presence in the market but also it has to be as per labeling laws. It should contain all the information made compulsory by the government. In case, you are looking for a label that looks attractive and has all the above qualities then surely your search is going to end at S S Graphics . We are the industry leaders when it comes to label printing. Our labels are innovative, beautiful and even easily standout harsh climatic condition or wear and tear from transportation. Supreme quality, affordable price and the unique ability to create brand awareness makes them come up in a league of their own. In our more than 18-years printing industry experience, we have designed labels for topnotch national and international brands, the list is increasing continuously. So be a part of a historical journey by having us as your label printing partner. We have the experience, skills, latest printing technology and equipment to create a global brand. Labels are a quick and easy way to drive sales and enhance brand recognition. Label are excellent marketing tools for attracting new customers or promoting your business. Labels can be designed and printed in a variety of different ways to cater to different products. Textured Sophisticated labels are often used in wine labels, specialty food and beverage labels. Roll labels are generally used for packaging and other similar applications like bottles, bath and body products, food containers and window decors. Size : Choose an Option... 3.5" X 4.25" 3.5" X 6.5" 4" X 6"